We absolutely love our lanyards and we think you will too! We receive amazing feedback from our customers who have already purchased a lanyard of their own. Customers say they love how multi-use they are, they love their durability, and they love their detailed dog breed designs. Our lanyards are offered in over 35 different breeds. From Airedale and Australian Shepherd, to Corgi and Boston Terrier, and Soft Coated Wheaten to Doberman Pinscher. The designs are highly detailed and laid on a colorful background so all the dog’s features are that much more prominent. We love the use of our dog lanyards all year long but we especially love them for the Summer! Summer is the time of year when you are more active, out in nature, and attending events. For these types of activities you need your hands to be free, your pockets to be light, and your valuables to be close and in sight. Our lanyards can check all of these needs off your list! Clip your keys, wallet, sunglasses pouch, and more right on to your lanyard. 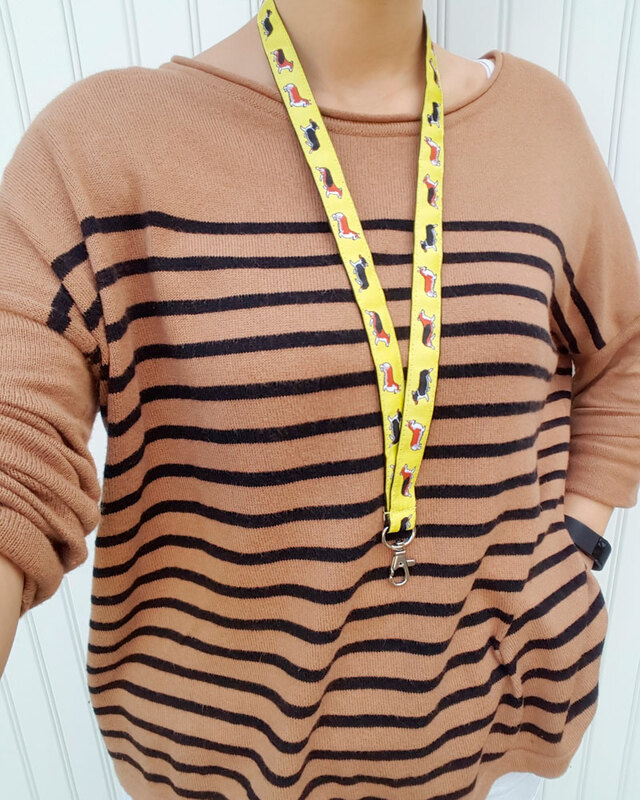 Hang your lanyard around your neck or loop it onto your purse or backpack and you will have everything you needs in arms reach. They are perfect for concerts and games when you need to display a ticket. Planning on attending an amusement park this summer? Stick your fast pass in a protective sleeve and clip it onto your lanyard. And of course, they are always the best way to display your work badge. We told you, our lanyards have so many uses! Get one for you, one for mom, one for dad…heck, get one for the entire family! The only family member you might not get one for is Fido. But he’ll still feel included knowing your love for him is being displayed around all of your necks!